Bwindi Impenetrable National Park a home to the rare endangered mountain gorillas in Uganda, is strategically located at the edge of the western rift valley (Albertine rift valley), in South Western Uganda. It is shared amoungest Rukungiri, Kisoro and Kabale Districts. Bwindi impenetable rainforest –is among those few in Africa that has flourished through out the last Ice Age covering around 331 square kilometers with an Altitude Range that goes from 1160 meters in Ishasha gorge up to 2607 meters at Rwamanyonyi Peak. Having an annual average temperature Range of 7-20 degrees Celsius with its coldest period being June and July and experiencing its heaviest rains during March-April and September – November, Other months are usually dry. The gigantic rain forest homes to over a half of the world’s mountain gorillas thus it is the major Uganda Gorilla safari destination to visit the endangered mountain gorillas. A deeper look into the inviting beautiful brown eyes of these gentle shy mountain gorillas on Uganda is unarguably the most exciting memorable Uganda wildlife tour encounter that Uganda and Africa at large have to offer coupled with Bwindi’s broad biodiversity that gives support to the Eco-Tourism industry as well. 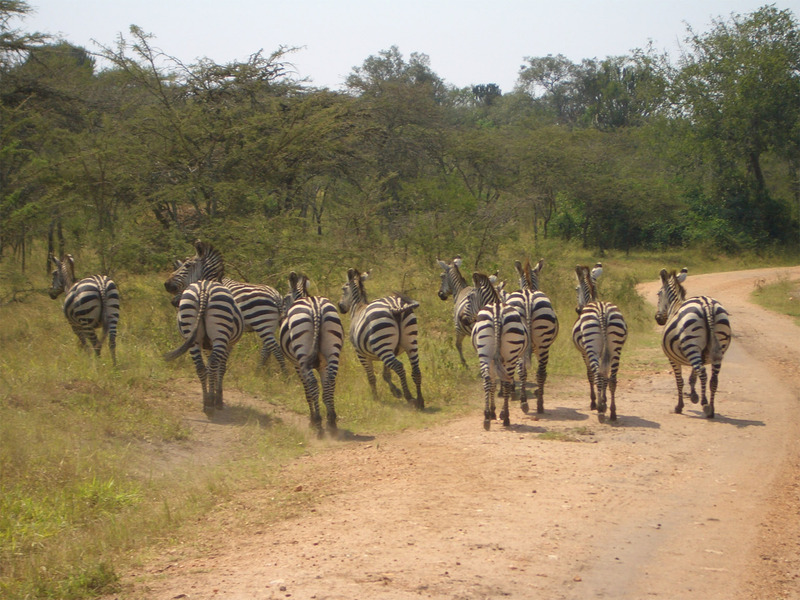 With an altitude range of 1,160 to 2,607m, the national park boasts of 90 mammal species, including 11 primates, wit the black-and-white Colobus, which is prominent for its beautiful flowing white tail to show which makes it a flourishing Uganda wildlife safari destination as well. Bwindi with its 23 highly localized Albertine Rift endemics present,, the forest ranks as one of the best birding tour/ birding safari destination in Uganda.